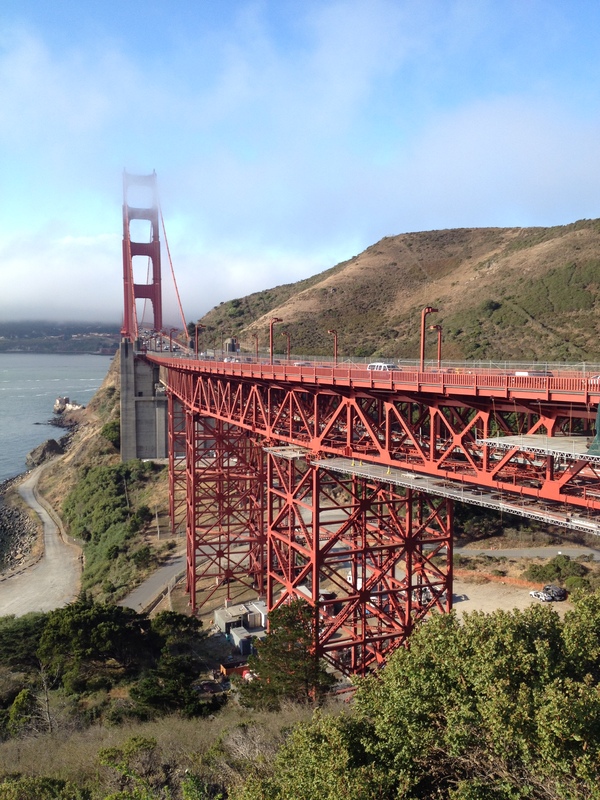 During my visit to San Francisco, I went for an early morning run across the Golden Gate Bridge. It was a fun way to visit the famous landmark and ended up being one of my favourite activities in San Francisco. It can be windy on the bridge but it’s a quick run (1.7 mile or 2.7 km one way). It’s a longer trip if you want to also visit Sausalito. Also, if you want to learn a lesson from my experience, check the ferry times back to San Francisco if you plan to take the ferry (but no worries if you forget, there is also a bus that takes you back to San Francisco). 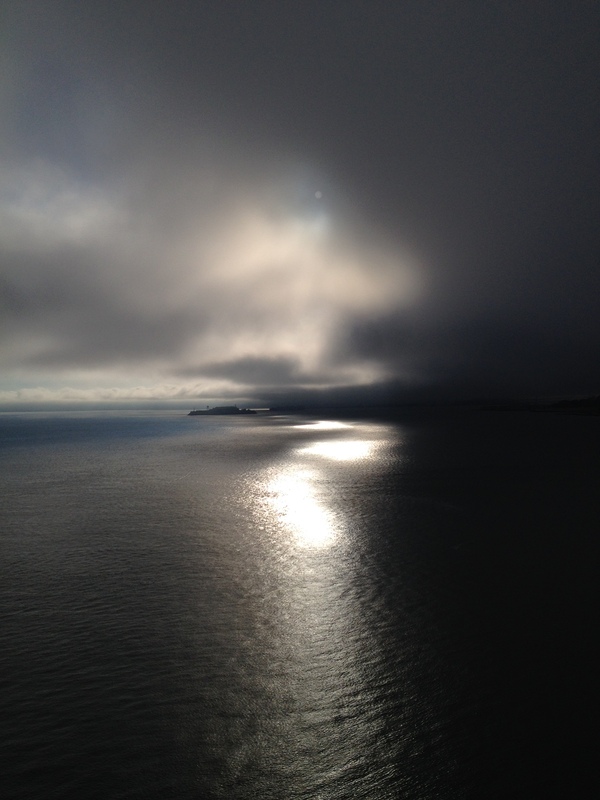 See more from my trip on San Francisco – “Tourist! No Leaning!”. More pictures from the run below. San Francisco oozes style and character. 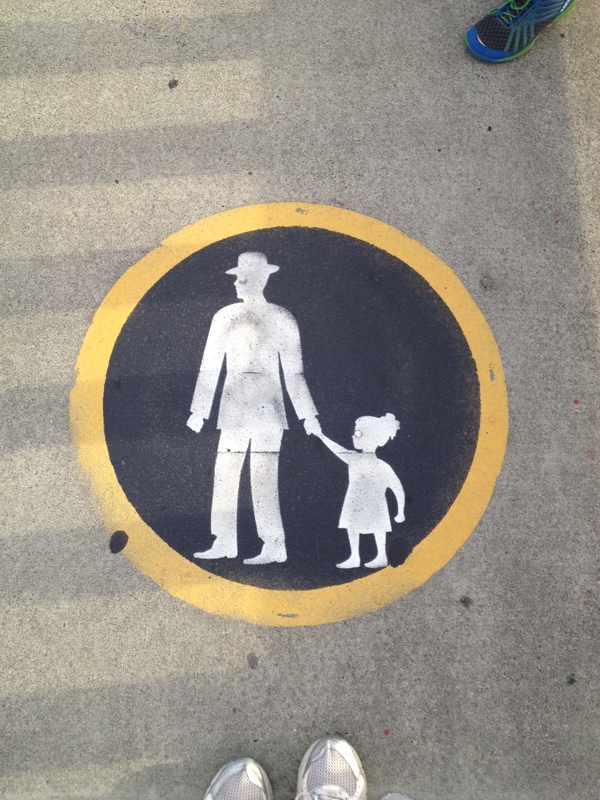 These signs were painted across the pedestrian walkway of the Golden Gate Bridge. A rare brief view of the top of the Golden Gate Bridge as the fog lifts momentarily. 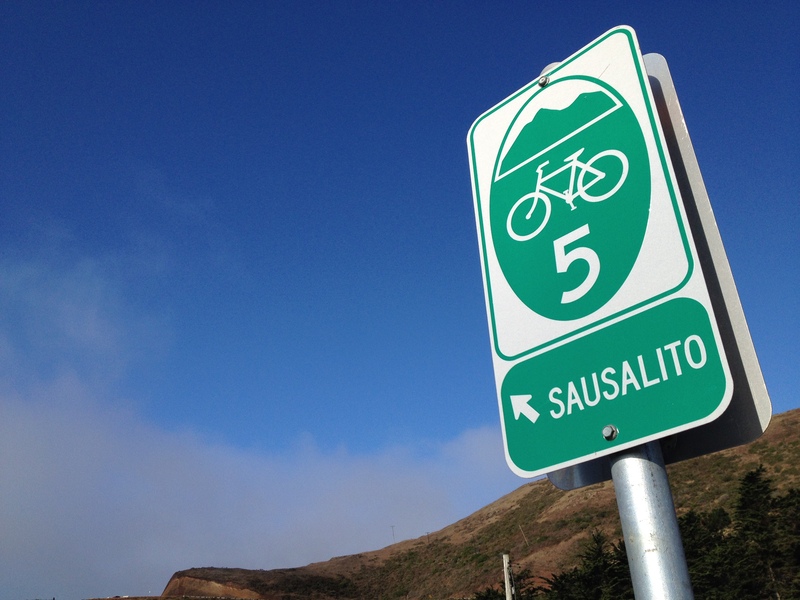 If you plan to walk or run from the Golden Gate Bridge to Sausalito, it is 5 km or 3.1 miles away. 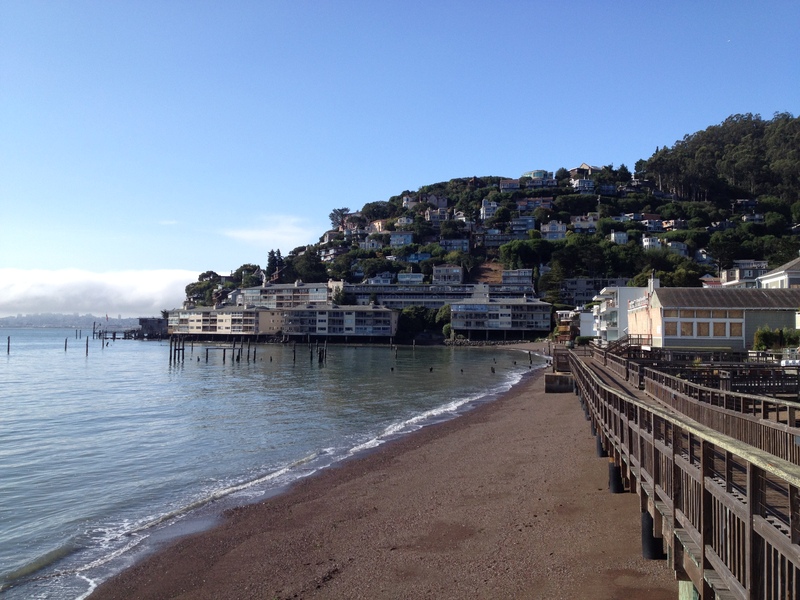 Enjoy a quiet stroll in Sausalito.